5.2 Quality Policy 5.3 Quality Policy Includes an additional requirement to make the policy available to interested parties and being available as documented information. The quality policy is the only true definition of quality that counts in your organisation. Provided that you take into account the few important items the standard asks for, you can define and measure quality any way you choose. Company XYZ provides quality management, co-ordination, manufacture and installation services throughout the UK and sometimes abroad. The Company has developed its expertise since its establishment and its aim is to achieve a high standard of construction and service to its customers. It is the policy of Company XYZ to provide the customer with goods and services to the agreed requirement in accordance with the details and price. The Directors, Management and Staff are responsible for Quality Control through the Quality Management System seeking improvement by constant review, with suppliers and sub-contractors being encouraged to co-operate. The Company is committed to achieving customer satisfaction by the use of quality procedures which will be operated to meet or exceed the requirements of ISO 9001. This requirement is comparable to the requirements of ISO 9001:2008 Clause 5.3 – Quality Policy. You should check that there is evidence that Top management have participated in the creation of the quality policy, and are reviewing and maintaining it. You should review the quality policy to determine whether the quality policy is appropriate to the context of the organization and its purpose, that there is a commitment to continually improving the QMS, and the quality objectives are consistent with the quality policy. Top management should demonstrate that the quality policy is compatible with the strategic direction and context of the organization, as required by Clause 5.1.1b. Go for something short, sweet and memorable. 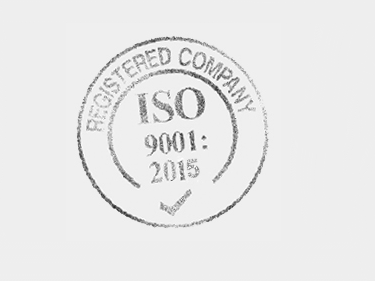 If the quality policy is simply written to satisfy the requirements of ISO 9001:2015 then it might be worthless. You should keep it simple and keep it relevant to your organisation. Make it meaningful to the people in your organisation. The quality policy should act as a driver for continual improvement. You will be required to ensure that you continually improve the degree to which the organisation’s products and services meet customer requirements and to measure effectiveness of the processes responsible. To this end the continual improvement principle implies that you should adopt the attitude that improvement is always possible and that organisations should develop the skills and tools necessary to drive improvement. Company XYZ strives to be the best provider of inspection services in the industry. Through the use of these guiding principles, everyone in Company XYZ is accountable for fully satisfying our customers by meeting or exceeding their needs and expectations with best-in- class solutions and services. Our goal is 100% customer satisfaction 100% of the time. This is a new requirement. ISO 9001:2015 requires the policy to be maintained as documented information, refer to Clause 7.5.1a. You should check whether the quality policy has been applied throughout the organization and that the quality policy is available to any relevant interested parties. Remember, Auditors will wish to test staff's understanding; so internal communication is vital. The company believes that its market expects a continually improving service. We aim to continually improve the service we provide to meet our clients requirements and to produce finished work that we can justifiably be proud of. The company aims to achieve the above by implementing a management system that complies with the international standard of good practice BS EN ISO 9001. It also includes a commitment to meet the requirements of our clients, as well as legal and regulatory requirements. Also to continual development of the system and helping to ensure it remains effective. Learn about quality objectives and how they effect the quality policy. Looking for help documenting your quality policy? Our easy-to-use Quality Policy & Quality Objectives template - with checklists, process maps and forms will guide you throught the process and help you document your quality policy. Our easy-to-use template will guide you throught the process and help you document your quality policy. Why should I choose one of these templates? They are proven to work. We have helped thousands of companies acheive certification. Are the templates suitable for my business? Yes. The templates are suitable for small, medium and large businesses in all sectors.